The "TT Screenshot of the Month" (SOTM) is a monthly competition of player-submitted screenshots. 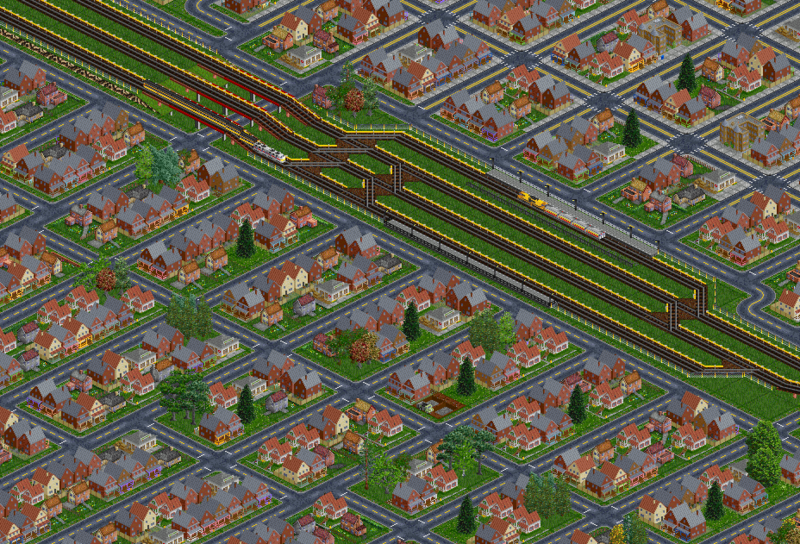 Submitted screenshots may be based on any version of Transport Tycoon (TTO), Transport Tycoon Deluxe (TTD), TTD Patch (TTDP or TTDX), OpenTTD (OTTD) or Transport Tycoon Mobile (TTM), using any base graphics sets or NewGRF sets. Screenshots need not be actual views from the game, and may be edited to enhance the screenshot or to create a visual theme. All voting in the competition is conducted via poll on TT-Forums in the current dedicated discussion topic. All participants must register an account on tt-forums. Screenshots should be submitted to this thread. Please make sure your entry is in an "attachment" and not just a direct link. Screenshots can be any size. However, large zoomed-in screenshots should be downsized and "giant" screenshots are discouraged as they don't work well in the voting post. Animated GIFS are permitted if specified in the current month's theme. GIFs must focus on one moving or stationary subject, as a slideshow constitutes multiple screenshots and breaks the following rule. Only one entry per participant. Entries may be withdrawn or replaced at any time before the deadline. Captions are permitted and encouraged in order to elicit greater voting. Use of graphics programs to enhance screenshots (aka "Photoshopping") is permitted. The winner is offered the chance to pick the next month's theme. If the winner declines to select a theme, or is not able to submit a theme within seven (7) days after being declared the winner, the competition moderator shall select a theme for the next competition. If fewer than three entries are submitted in a month, the competition will automatically roll over to the next month. If after two months there are still fewer than three entries, the competition moderator will declare the competition a draw, and select a theme for the next competition. If more than 20 screenshots are entered: the forums will break, the world will collapse and the competition organiser will be declared the winner in the post-apocalyptic world. Prior to the "TT Screenshot of the Month" competition, several other attempts at organizing such competitions had existed on TT-Forums. The longest sustained competition was first organized by Amecheer in September 2007, later modified in March 2008, and officially ended in January 2010 after several months of inactivity. The competition was immediately revived by ZxBiohazardZx, but only lasted a month itself. The current competition was started by SwissFan91 in April 2012 and has ran continuously since. In January 2014, Kamnet was named the competition moderator and the competition continued under the same format. August 2015 saw the competition return to the moderation of SwissFan91. In Febuary 2016, Emperor Jake was named the competition moderator and the competition continued under the same format. The results of each month's competition and participants are noted below. All participants are listed with their submitted screenshot linked to their name along with the total number of votes received. The inaugural competition had no dedicated theme. The competition was concluded on April 30, 2012. Competition participants were Emperor Jake (13), Cross side (8), ISA (8), A321Pilot (5), The Irish (0), thphwh (0). The May/June 2012 theme was Industry. Due to a lack of time on the moderator's part and sparse submissions, the competition deadline was extended into June. The competition was concluded on July 1, 2012. Competition participants were ISA (12), Emperor Jake (10), FLHerne (3), Quast65 (3), zooks (3), sniperDJ (2), Beul (1), A321Pilot (0). 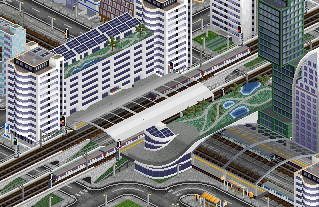 The July 2012 theme was Passenger Terminals. The competition was concluded on July 31, 2012. Our first-ever tie was created between Badger and the team of EXTspotter & romazoon. Competition participants were Badger (12), EXTspotter & romazoon (12), SwissFan91 (4), Quast65 (2), zooks (2), FLHerne (1), Jacko (1), Kamnet (1), A321Pilot (0), Bob Mackenzie (0), Chrill (0), Katve (0). The August 2012 theme was Vacation/Holiday Photos. The competition was concluded on September 2, 2012. Competition participants were romazoon (13), ISA (8) and Katve (6). The September 2012 theme was Industrial Areas. The competition was concluded on October 5, 2012. Competition participants were Quast65 (12), Emperor Jake (9), kamnet(4), oberhümer (3), ISA (1), Nite Owl (0). The October 2012 theme was Cities. The competition was concluded on November 3, 2012. Competition participants were Emperor Jake (8), STD (4), minecraftfan (3), BTA90 (2), oberhümer (2), Quast65 (2), Sallarsahr (2), A321Pilot (1), and Katve (0). The November 2012 theme was The Golden Age of Railways. The competition was concluded on December 1, 2012. Competition participants were Emperor Jake (12), Hargs (7), Quast65 (7), ISA (3), The Irish (3), Valle (3), and Zooks (3). The December 2012 theme was Christmas!. The competition was concluded on January 3, 2013. Competition participants were Purno (16), wallyweb (12), oztrans (5), Class165 (4), quast65 (4), Emperor Jake (3), CPR1983 (1), A321 Pilot (1), ISA (0), Valle (0) and zooks (0). The January 2013 theme was Congestion. The competition was concluded on Febuary 2, 2013. Competition participants were Quast65 (10), Valle (7), Purno (5), oztrans (4), Emperor Jake (2) and Katve (0). The Febuary 2013 theme was General Transportation. The competition was concluded on March 1, 2013. Competition participants were Sallarsahr (13), Tankman652 (12) and Katve (11). The March 2013 theme was Coal Mine Stations. The competition was concluded on April 1, 2013. Competition participants were Yoshi (14), OzTrans (11), Romazoon (5), STD (4), Tankman652 (3), Quast65 (2), Zooks (2), ISA (1) and Sallarsahr (1). The April 2013 theme was Suburban Railway Stations. The competition was concluded on May 1, 2013. Competition participants were Quast65 (11), OzTrans (8), Yoshi (8), jvassie (6), STD (6), Zooks (3) and Emperor Jake (1) and A321Pilot (0). The May 2013 theme was Airports. The competition was concluded on June 4, 2013. Competition participants were ISA (11), Purno (11), Zooks (10), STD (6), Jor(d)1 (5) and Quast65 (4). The June 2013 theme was Modernization/Renovation. The competition was concluded on June 29, 2013. Competition participants were Swissfan91 (33), Quast65 (8), Ladusa (4), Yoshi (1), STD (1) and Katve (0). The July 2013 theme was FORESTS. The competition was concluded on July 30, 2013. Competition participants were OzTrans (26), Ladusa (7), Purno (3), Chrill (1), IrmoTrainfan (1), Quast65 (1), STD (1), ISA (0) and thphwh (0). The August 2013 theme was Canada. The competition was concluded on September 3, 2013. Competition participants were Quast65 (22), Seeker (10), ISA (7) and Ladusa (2). The September 2013 theme was TRANSPORTATION. The competition was concluded on October 6, 2013. Competition participants were Valle (19), Alluke (10), Ladusa (6), YNM (4), ISA (4) and Hans Kruzer (2). The October 2013 theme was Postcard Panoramas. The competition was concluded on October 27, 2013. Competition participants were Swissfan91 (26), Ladusa (9), Katve (6), zooks (5), Skiddlow (1), STD (1) and The Irish (0). The November 2013 theme was No Trains. The competition was concluded on December 7, 2013. Competition participants were Ladusa (19), STD (13), wallyweb (8), lukasz1985 (7), natho123 (2), ISA (1), Purno (1), Valle (1), Hans Kruzer (0), Skiddlow (0) and The Irish (0). The December 2013 theme was Happy Holidays. Due to a lack of time on SwissFan91's part, efforts to organize the December competition failed to materialize. Moderation of the competition was passed on to Kamnet. There was also some misunderstanding about what the actual theme for December 2013 would be. SwissFan91 was the winner of the October competition and opted to select the December theme instead of the November theme. Because of the mitigating circumstances, the December 2013 and January 2014 theme were ran concurrently. The competition was concluded on January 27, 2014. The participants were Seeker (16), Ladusa (6), STD (4), ISA (2) and Planetmaker (2). The January 2014 theme was Out with the Old, and in with the New. The competition was concluded on January 27, 2014. The participants were Ladusa (14), ISA (6), StepanBarth (5), STD (4), FLHerne (3) and Purno (3). The February 2014 theme was Epic. The competition was concluded on March 2, 2014. The participants were ISA (18), Kotssmurf (6), Seeker (6), Quast65 (5), Wallyweb (5), Ladusa (3) and STD (2). The March 2014 theme was Your Home. The competition concluded on March 31, 2014. The participants were Quast65 (12), ISA (10), qcm (10), Ladusa (3) and Purno (1). The April 2014 theme was Where lines meet. The competition The competition concluded on April 28, 2014. The participants were ISA (14), FLHerne (8) and Ladusa (7). The May 2014 theme was Countryside. The competition The competition concluded on May 27, 2014. The participants were ens (13), ISA (9),Ladusa (7), romazoon (5) and StephanBarth (2). The June 2014 theme was ELEVATED TRANSPORTATION. The competition The competition concluded on July 1, 2014. The participants were Yoshi (13), ens (7), ISA (4) and Ladusa (3). The July 2014 theme was ACCIDENTS. The competition The competition concluded on July 27, 2014. The participants were alluke (13), ISA (13), Wallyweb (9), Ladusa (2), MattH (1) and Quast65 (1). The May 2014 theme was FUTURISTIC. The competition was not concluded on August, 2014. Due to a failure in the computer, Kamnet could not continue the competition. No one showed interest to hold the competition in the following months. He took it as a sign that people were either bored, or they are just too busy and he was busy and didn't have time to go back to it. Due to a lack of time on Kamnet's, moderation of the competition was passed on to SwissFan91. The August 2015 theme was Work. The competition concluded on August 29, 2015. The participants were WallyWeb (18), Flogeza (5), Ladusa (3), Quast 65 (3), Chrill (2), ISA (1), STD (1), Emperor Jake (0) and Sabret00th (0). The September 2015 theme was Nature's Wrath. The competition concluded on September 29, 2015. The participants were Yoshi (17), arikover (8), ISA (3), alluke (2), Emperor Jake (2), Shields53 (2), Ladusa (1), Swissfan91 (1), Sabret00th (0), STD (0) and wallyweb (0). The October 2015 theme was Terminus Stations. The competition concluded on October 30, 2015. The participants were Yoshi (12), samson87 (5), Swissfan91 (5), OzTrans (4), quast65 (4), Emperor Jake (3), Ladusa (2), STD (1), S-Transport (1) and flogeza (0). The November 2015 theme was Gardens & Motion [GIFS ALLOWED]. The competition concluded on December 7, 2015. The participants were Yoshi (10), quast65 (9), Ladusa (5), ISA (3), STD (2) and Emperor Jake (1). The December 2015 theme was Christmas Markets. The competition was not concluded on December, 2015. Due to a lack of time on SwissFan91's part, efforts to organize the December and January competition failed to materialize. Moderation of the competition was passed on to Emperor Jake. He has decided on a simple and general theme. The February 2016 theme was The Future. The competition concluded on March 5, 2016. The participants were Eddy Arfik (14), ISA (5) and Ladusa (2). The March 2016 theme was Industrial Harbours. The competition concluded on March 31, 2016. The participants were Quast65 (11), ISA (5), Shields53 (2), Emperor Jake (2), Voyager One (1) and colossal404 (0). The April 2016 theme was Snow and Ice. The competition concluded on May 1, 2016. The participants were Ladusa (9), Emperor Jake (6), ISA (3), wallyweb (3), Pyoro (2), Timeflyer (2), Voyager One (2), railman (1), STD (1) and StepanBarth (0). The May 2016 theme was Company HQ. The competition concluded on June 1, 2016. The participants were doikdi (5), wallyweb (5), flogeza (4), Quast65 (3), railman (2), Emperor Jake (1), Ladusa (1), piratescooby (1), STD (1), Voyager One (1), S-Transport (0) and trainman1432 (0). The June 2016 theme was One Small Town - One Big Industry. The competition concluded on July 1, 2016. The participants were doikdi (16), romazoon (5), Leanden (3), kamnet (2), Ladusa (2), Emperor Jake (2), RAD750 (2), railman (2), Voyager One (2), -3s- (1), oftcrash (1), Quast65 (1), wallyweb (1), Chrill (0), ISA (0) and piratescooby (0). The July 2016 theme was Orient Express. The competition concluded on August 2, 2016. The participants were doikdi (6), Emperor Jake (5), Mr Bruco (3), STD (3), flogeza (2), Ladusa (1), N8king (1), piratescooby (1), wallyweb (1), railman (0), romazoon (0), S-Transport (0) and Voyager One (0). The August 2016 theme was Mass Transit. The competition concluded on Semptember 2, 2016. The participants were Tintinfan (6), flogeza (4), 12fly81 (2), Emperor Jake (2), Ladusa (2), wallyweb (2), Mizari (1), oftcrash (1), Pilot (1), STD (1), romazoon (0) and StepanBarth (0). The September 2016 theme was Mountain Engineering. The competition concluded on October 1, 2016. The participants were Emperor Jake (8), Quast65 (7), STD (5), wallyweb (2), S-Transport (1), piratescooby (0) and TheAmir259 (0). The October 2016 theme was River crossing. The competition concluded on November 5, 2016. The participants were luxtram (6), SwissFan91 (6), Emperor Jake (5), Quast65 (4), wallyweb (4), STD (3), YSH (1), ISA (0), Mr Bruco (0), piratescooby (0), S-Transport (0). The November 2016 theme was Agricultural beauty. The competition concluded on December 2, 2016. The participants were Mr Bruco (11), oftcrash (5), Emperor Jake (3), piratescooby (3), STD (2), leifbk (1), Voyager One (1) and wallyweb (1). The December 2016 theme was Christmas . The competition concluded on January 4, 2017. The participants were Mr Bruco (7), Quast65 (5), wallyweb (4), Emperor Jake (3), STD (2) and piratescooby (0). The January 2017 theme was Rainforest. The competition concluded on Febuary 5, 2017. The participants were Emperor Jake (8), wallyweb (8), Mr Bruco (1) and STD (1). The Febuary/March 2017 theme was The Age of Steam. Due to the small number of submissions, the competition deadline was extended into March. The competition concluded on April 1, 2017. The participants were leifbk (6), wallyweb (4), Mr Bruco (3), oberhümer (3), Supercheese (2), Emperor Jake (1), n8king (1), Pyoro (1), ISA (0), Pontec (0) and STD (0). The April 2017 theme was Shipping. The competition concluded on May 1 , 2017. The participants were leifbk (7), Pyoro (7), piratescooby (5), colossal404 (4), Emperor Jake (1) and Voyager One (1). The May 2017 theme was Trams & RVs. The competition concluded on June 1, 2017. The participants were flogeza (12), piratescooby (9), STD (7), leifbk (2), Emperor Jake (1), SilverSurferZzZ (1) and ALEXbr (0). The June 2017 theme was Viaducts. The competition concluded on July 2, 2017. The participants were Emperor Jake (14), Swissfan91 (13), piratescooby (11), Quast65 (10), Pilot (9), Pyoro (8), trainman1432 (8), SilverSurferZzZ (6), flogeza (5), luxtram (5), STD (5), leifbk (3), BW89 (2), kamnet (2) and ISA (1). The July 2017 theme was Abandonment. The competition concluded on August 2, 2017. The participants were Emperor Jake (10), kamnet (4), piratescooby (4), Quast65 (4),SwissFan91 (4), BW89 (1), Pilot (1), NCommander (0) and nodrog289 (0). The August 2017 theme was Heavy Haulage. The competition concluded on September 2, 2017. The participants were STD (9), piratescooby (5), Comm Cody (4), Emperor Jake (2), SwissFan91 (2) and wallyweb (2). The September 2017 theme was Coastal areas. The competition concluded on October 3, 2017. The participants were Emperor Jake (12), SwissFan91 (5), wallyweb (5), Quast65 (4), STD (3), luxtram (2) and piratescooby (1). The October 2017 theme was Transport Corridors. The competition concluded on November 1, 2017. The participants were SwissFan91 (11), STD (9), wallyweb (8), Darthrafael (6), Emperor Jake (6), Juggynaut (5), piratescooby (5), Comm Cody (4) and Voyager One (4). The November 2017 theme was Freedom. The competition concluded on December 4, 2017. The participants were Darthrafael (7), Emperor Jake (7), piratescooby (4), STD (4) and wallyweb (4). The December 2017 theme was CHRISTMAS TRAINS . The competition concluded on Jan 3, 2018. The participants were mr jj (11), STD (5), GarryG (4), wallyweb (4), Emperor Jake (3), acs121 (1) and piratescooby (1). The January 2018 theme was Eyecandy . The competition concluded on Febuary 2, 2018. The participants were wallyweb (13), GarryG (8), Emperor Jake (4),acs121 (2), mr jj (2) and piratescooby (1). The February 2018 theme was Transport Hubs . The competition concluded on March 2, 2018. The participants were Pilot (15), Emperor Jake (9), Pyoro (9), STD (9), GarryG (7), wallyweb (6), mr jj (5), acs121 (4), LaRoso (4) and piratescooby (2). The March 2018 theme was The Suburbs . The competition concluded on April 2, 2018. The participants were mr jj (13), Emperor Jake (12), STD (9), wallyweb (8), GarryG (7), Juggynaut (7), Tony Pixel (7), acs121 (6), piratescooby (5) and brtom (4). The April 2018 theme was Rivers and Lakes . The competition concluded on May 1, 2018. The participants were romazoon (20), Chataigne (16), Pyoro (12), GarryG (10), Emperor Jake (9), STD (6), mr jj (5), ISA (3), acs121 (2), Tony Pixel (2) and SilverSurferZzZ (1). The May 2018 theme was Main lines & Main Stations! . The competition concluded on June 2, 2018. The participants were Tintinfan (19), Quast65 (18), romazoon (18), Badger (14), michael blunck (14), Chataigne (11), Emperor Jake (10), GarryG (9), Pilot (8), acs121 (7), Botond P (6), LaRoso (5), PinkMoon (3), mr jj (2), Tony Pixel (1), Darthrafael (0) and Vetteman06 (0). The June 2018 theme was Branchlines & Rural Stations! . The competition concluded on July 2, 2018. The participants were le_harv (21), romazoon (18), GarryG (16), michael blunck (16), mr jj (15), Emperor Jake (11), Tintinfan (10), TadeuszD (8), acs121 (4), brtom (3) and LaRoso (3). The July 2018 theme was Intermodal . The competition concluded on August 2, 2018. The participants were FulliAutomatix (18), michael blunck (16), STD (10), JGR (9), Emperor Jake (5), GarryG (4), le_harv (4), mr jj (3), wallyweb (3), trainman1432 (0) and kjuao9 (0). The August 2018 theme was From the City to the Suburbs . The competition concluded on September 2, 2018. The participants were Chataigne (15), Emperor Jake (11), GarryG (10), le_harv (10), leifbk (7), wallyweb (7), acs121 (5), mr jj (4), Tony Pixel (4), ucetcislo1 (4) and piratescooby (3). The September theme was Costa del Sol . The competition concluded on October 3, 2018. The participants were le_harv (16), Chataigne (15), Emperor Jake (9), STD (6), GarryG (5), mr jj (5) and wallyweb (4). The October 2018 theme was River crossing . The competition concluded on November 2, 2018. The participants were andres1555 (22), ISA (21), GarryG (19), mr jj (9), wallyweb (8), acs121 (5), luxtram (5) and Emperor Jake (3). The November 2018 theme was Sustainable Stations . The competition concluded on December 1, 2018. The participants were Erato (13), andres1555 (11), Juggynaut (11), wallyweb (8), Gwyd (5) and Emperor Jake (3). The December 2018 theme was A White Christmas . The competition concluded on January 1, 2018. The participants were wallyweb (17), STD (16), OzTrans (13), Emperor Jake (9), mr jj (6), GarryG (5), Ladusa (5) and Ro(V)eO (4). The January 2019 theme was Cars & Buses & Trams & Trucks & Trucks & Trucks . The competition concluded on Febuary 1, 2019. The participants were OzTrans (20), andres1555 (16), mr jj (13), Emperor Jake (9), wallyweb (9), kamnet (6) and Ro(V)eO (0). The February 2019 theme was Speed . The competition concluded on March 2, 2019. The participants were Juggynaunt (12), Emperor Jake (8), wallyweb (6), OzTrans (5), acs121 (4), skummel (4) and STD (4). The March 2019 theme was The Near Future . The competition concluded on April 3, 2019. The participants were OzTrans (16), andres1555 (15), Emperor Jake (2) and acs121 (1). The April 2019 theme was Open Theme . The competition [ concluded on April, 2019]. The participants were . The May 2019 theme was . The competition [ concluded on May, 2019]. The participants were . The June 2019 theme was . The competition [ concluded on June, 2019]. The participants were . This page has been accessed 66,392 times.